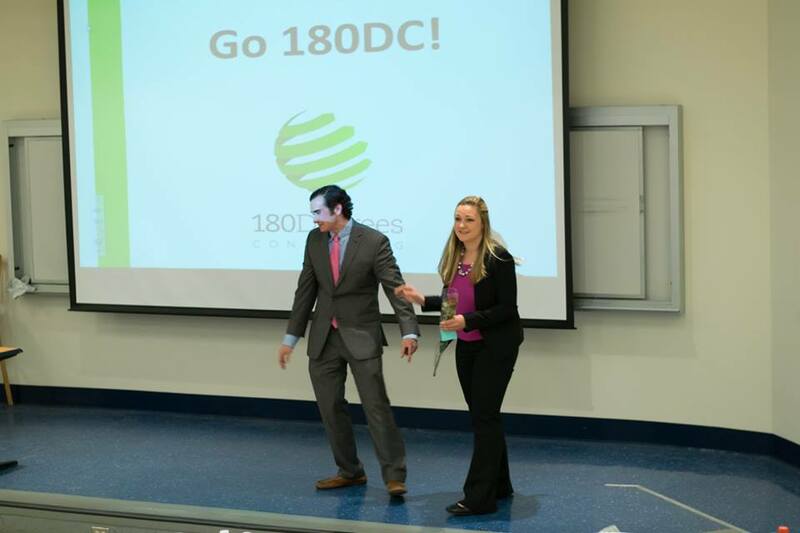 My name is Kristen Misak, and I am the 2016-17 President of 180 Degrees Consulting - one of the largest student-run, nonprofit consultancies in the world. 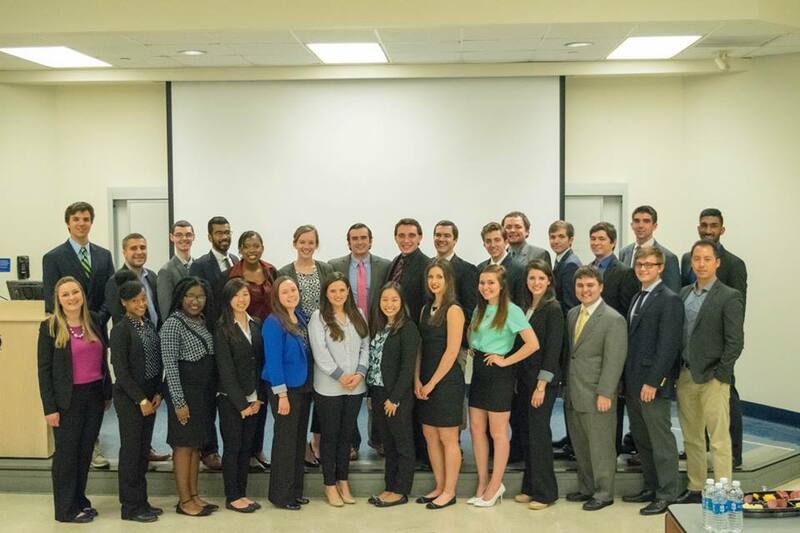 Our branch at Hofstra was founded by Brendan Rorke '16, our former President. Our mission is to maximize our social impact by helping nonprofit organizations on Long Island do the most with the resources they have on hand. We pair teams of highly qualified students (many in the business school, but also many in other fields of study) with nonprofit organizations that express a need to improve in financial management, marketing, social media, organizational structure and management, and other business-related issues. Because money is tight for many nonprofit organizations, they typically cannot afford professional consulting services. 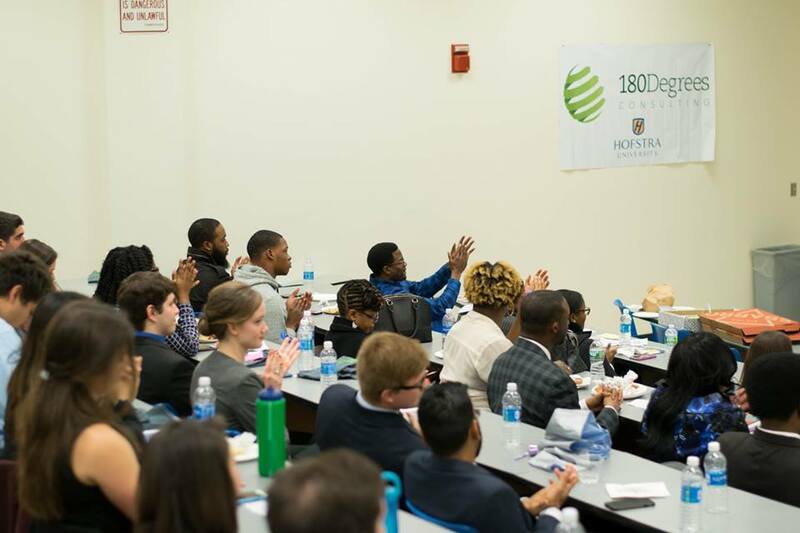 180 Degrees provides pro bono services from our students, who benefit by impacting the community and gaining more experience in the consulting field. I first heard about 180 Degrees in the spring of my sophomore year. I applied to brome a consultant and was assigned to work with the Long Island Volunteer Center. My team and I worked on different issues the Volunteer Center was facing. 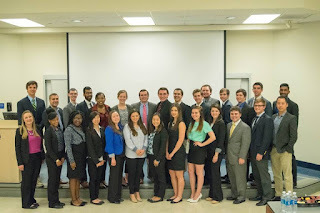 Being a marketing major, I mainly worked on finding solutions for their marketing and school media. At the end of the semester, our team constructed a final report and presentation for Diana O'Neill and her affiliates at the Long Island Volunteer Center full of suggestions to improve her organization. After seeing how grateful they were for the work we had done for them, I knew this was going to be something that I would become extremely passionate about. I was elected Recruitment Director my junior year and worked to get even more students involved in helping these nonprofit organizations. We received a record number of applications - so many that we ended up adding an additional organization to our usual three! Also, during this year, I added a minor of civic engagement because 180 Degrees taught me how much it meant to me to be making a social impact in everything that I do. 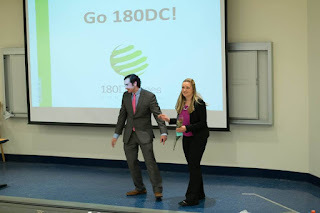 For my upcoming senior year, I was elected president of 180 Degrees, which I am extremely excited to begin. In addition to 180 Degrees, I also work as a Pride Guide in the Office of Admission and interned with the Center for Civic Engagement. In addition, I will be starting a fellowship with the Center in the fall. I also taught two days/week in local, under-served elementary schools through the Money and Me Program, and I am in a dual-degree program for my BBA/MBA. But since beginning my involvement with 180 Degrees Consulting, I've found what I'm truly passionate about and how the rest of what I am doing fits into what I want to do and who I am. 180 Degrees hasn't just done this for me. Our consultants keep coming back because they see the tangible benefits of being able to gain real-world experience and make a social impact. Interested in joining? Like our Facebook page for the latest updates and check us out at the Club Carnival in the fall! Applications go live during the first week of the school year.